Note: We had website/server/reality issues yesterday and Candice’s introduction blog post turned out to be an error message for many Lazies. My apologies. With the fix in place today, Monday’s post went out to cyber-space. Below is a re-post of Candi’s technically-glitched debut. Candi is no worse for the wear, holding up beautifully through the crisis as expected. Lazies, Meet Candice. Candice, meet everyone. The Candice pattern should be here by November 1st and I will keep you posted. Candice! Item #LGD130, pattern retail $12.00. Fabric is Treasures and Tidbits by Piece O’ Cake Designs for Robert Kaufman. 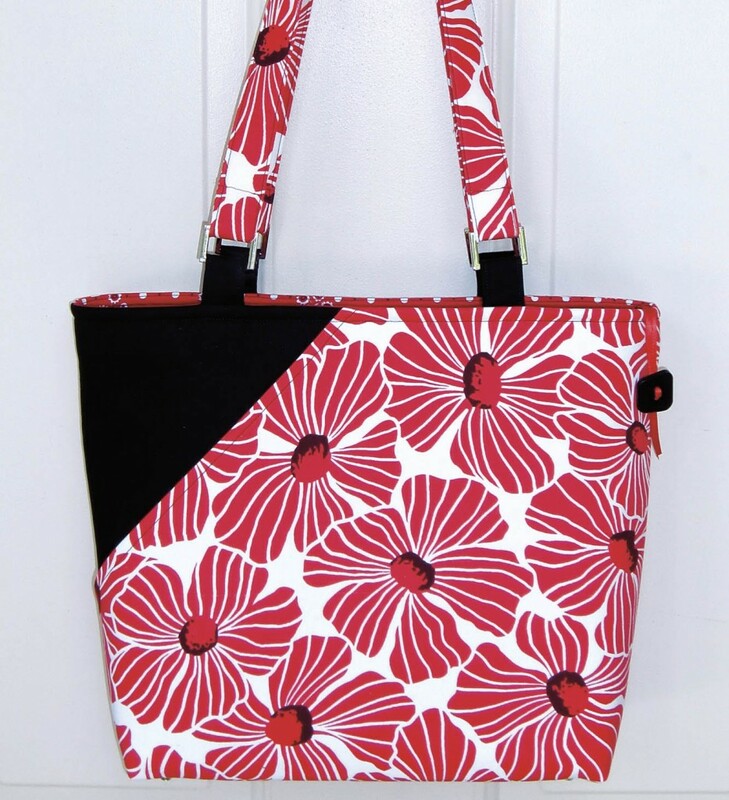 Front slant entry pocket, shoulder straps with optional ‘D’ rings, zip top closure, inside pockets, Bag-E-Bottom size A. Finished size approximately 11″ wide x 11 1/2″ tall x 4 1/2″ deep. The big story here is the pockets. I’ve created ‘fat pockets’, a new technique to give dimension for bulky items. 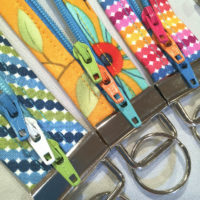 Great for techie stuff like eReaders or tablets (iPad/Galaxy/etc), cords and sunglasses. A fat pocket has a faux gusset at the bottom, giving the pocket depth. 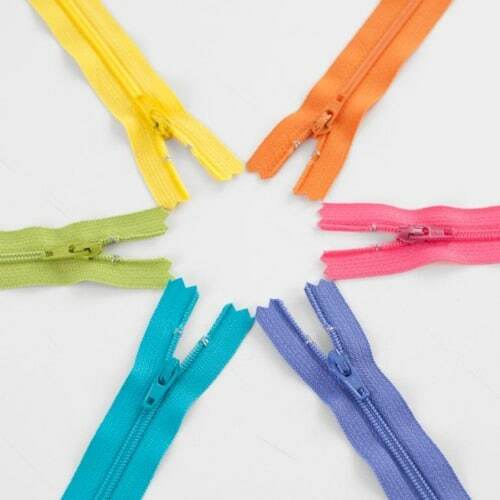 It stands away from the wall of the bag, perfect for easy access and to accommodate the bulk of these e-devices. Perfect for reach-in and grab. My Candice stands up nice and straight with my iPad and goodies in place. Here’s Candi, totally loaded with my iPad, sunglasses, cord and purse essentials. She’s perfect. The fat pocket is a little taller than our regular pockets for a little more stability for big/tall items. 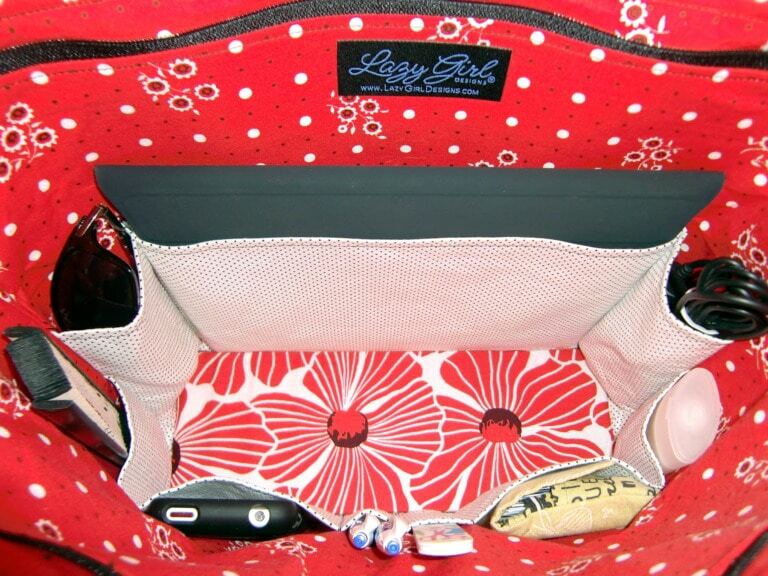 There’s an option to make the pockets dimensional for bulky items such as sunglasses, tablet/eReader, cords and more. 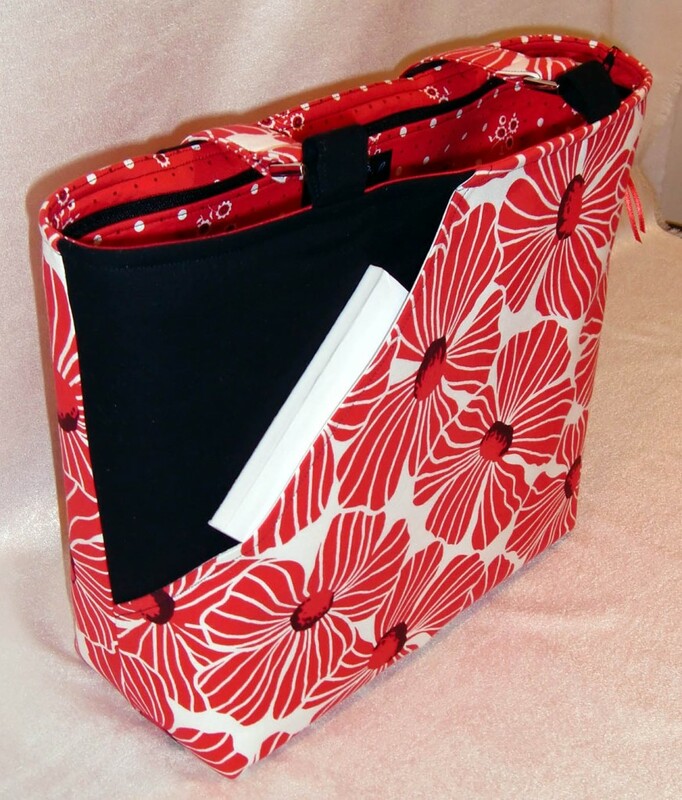 The main pocket section can be adjusted for your iPad, Nook, Kindle, Galaxy or other eReader or tablet. If your e-device is thin, like the iPad2 or the latest Kindle, you won’t need the extra dimension. 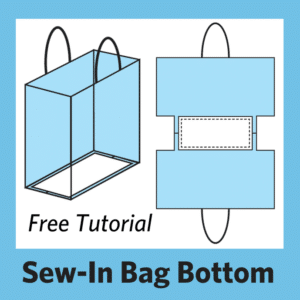 Just keep the tall pocket flat against the lining of the bag. If your e-device is more than 1/4″ thick, or kept in a case/sleeve, you’ll want the fat pocket to accommodate the bulk. 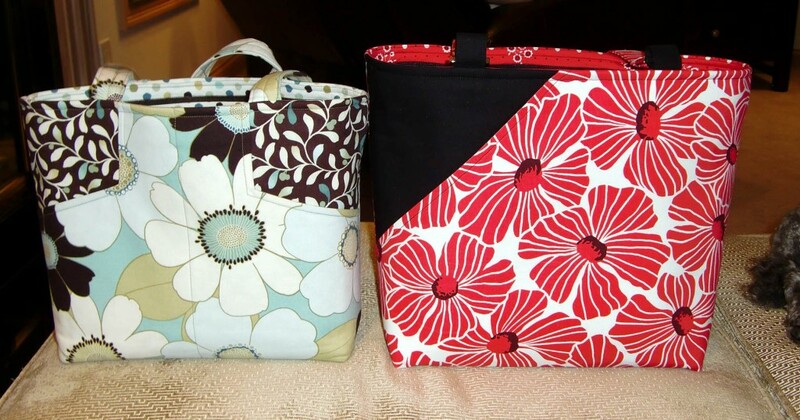 One large pocket in the middle is still perfect for all the stray papers and info we carry in our purses. Last week, I was out and about without my iPad. I filled the pocket with cards from a trip to Hallmark, brochures from the pet store and receipts here and there. In this case, my fat pocket worked like a document pocket: docu-pock. Sounds like that Doc Ock villain from one of the Spiderman movies. It’s not quite 11″ wide, but it held a catalog/magazine standing upright and letter sized papers folded in half, too. This large pocket kept the clutter from becoming chaos and taking over my purse. The tall inside pocket can be subdivided any way you like. The extra height is nice for glasses and such. Even with the iPad safely tucked away in the fat pocket, there was room to store paper/document stuff in there, too. The front slant pocket is perfect for quick access to keys or phone, loose change or a few dollar bills. 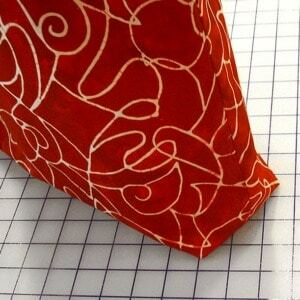 This notepad gives you an idea of the pockets’ wide opening and ease of entry. Yep, a great zip top. Candice can also be made without a zip. 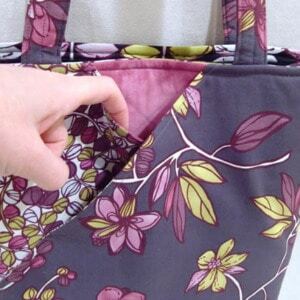 The Candice pattern will include directions to make handles with or without 1″ sized ‘D’ rings. More about these blingy rectangular rings by Nancy Zieman for Clover to come. Here’s Margo and Candice side by side. Candice is larger/taller/deeper/wider than Margo. I’ve have plenty more to share about Candice in the coming weeks as we await her arrival. I will keep you posted as I hear about stores who plan to offer pre-orders of Candice. Also, check with your favorite local quilt shops and online retailers. What do you think of our new Girl? « Previous PostNews: Candice Pattern is Coming! Wow, Looks like a great bag! A must have! Can’t wait to order it! Have fabric in mind and recipients as well, me included!! Really nice. I am so glad Margo has a BIGGER sister! Can’t wait to get my hands on the pattern. Wonderful. I can’t wait. 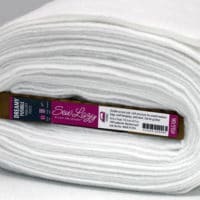 I already have fabric that will be perfect–wondered what I was going to do with that piece of fabric. Candice is definitely a keeper! Will be ordering this pattern as soon as it’s available! 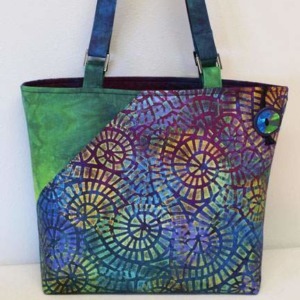 Love the new bag – I also can’t wait for the pattern to come out. The pockets are so handy. What a brilliant pattern, I love the slant on the front pocket! Looks like my Christmas presents are sorted. Will be looking forward to Candice and perhaps using her with Soft and Stable, that wonderful product that you turned us on to! 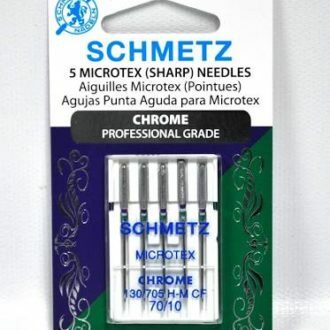 Can’t wait to get the pattern – Looks exactly like what I’ve been looking for. Thanks for the design! WOW! I love the new bag. 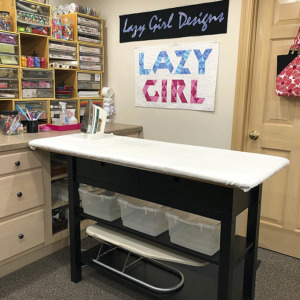 Very functional yet still flirty for us lazies on the go….. Totally love this bag and I love the options. Another wonderful bag! This is my kind of bag. Can’t wait. I can’t wait to get this pattern in my hot little hands. I’m going start shopping for fabric! This is perfect for my needs! I’ve already got my fabric picked out! I like everything about Candice. Very well thought out and designed. Looking forward to getting my pattern. Thanks Joan! November 1?!! Oooh, I can’t wait! I’ll be on a retreat that weekend. I wonder if the local shop will be carrying that pattern? I’ll have to email them and drop a not-so-subtle hint! This looks like the perfect bag to me! love everything about the purse. thanks and looking forward to making a few of them. I love what you’ve done with Candice! 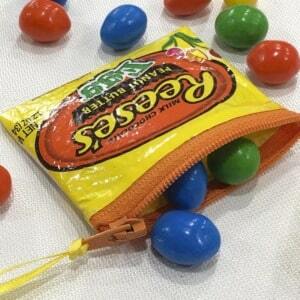 I wish you would design a bag that also has divider sections inside! Love to travel but need to stay more organized! Have been looking for a pattern just like this for my e-book etc. So glad its a Lazy Girl. I love how easy it is to follow your instructions and customize the bags to fit my needs. Can’t wait for this one! Thanks for you wonderful designs. Nice job, Joan. I love the pockets (well, who wouldn’t?) and the proportions. I just ordered myself a tablet PC and this looks PERFECT. The diagonal front pocket is a great touch. Thank you! I love love love it!!! I look forward to making her!! I…love…this! Can’t wait to make it. I’m hoping Erica’s in South Bend gets this one as soon as it’s available!! Could you compare Candice to the Miranda Day Bag? The full-size Miranda is my favorite bag, so I’m curious about how the two compare. WOw…once again. I can’t get “Lazy” enough. My bag wardrobe is totally “Lazy”. Your talent in creation is so appreciated. Already preordered it. Now, what color. A winner. I am looking forward to getting this pattern and making Candice! 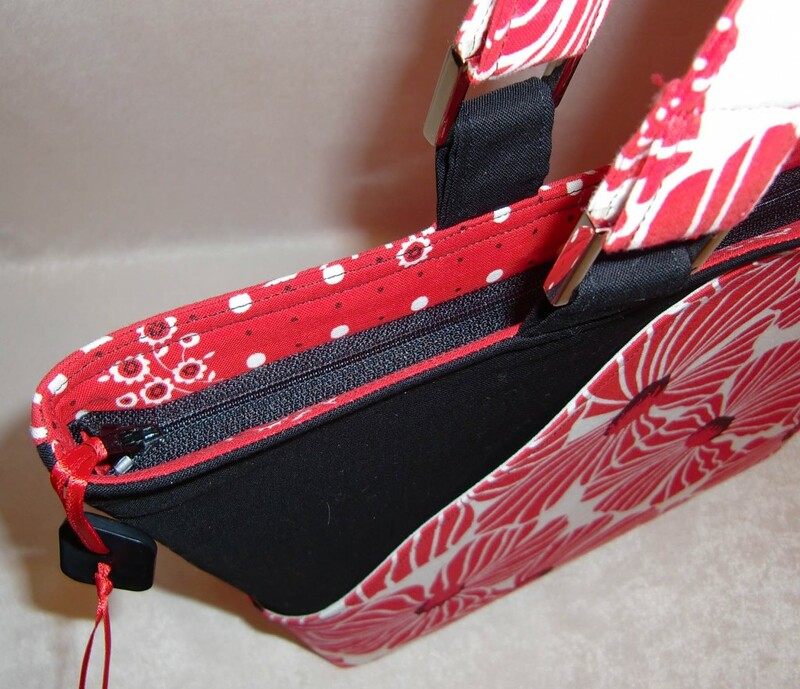 I love the slant pocket and the zipper closure! Perfect! Fat pockets look great. Thanks for the picture with Margo; that helps me see the dimensions more clearly. This just may be your BEST design EVER!!! Love it! I would love to have a pattern, I already have the fabric , just need the pattern. Just adore the zippered top. Love all of the pockets, so things don’t rattle around. 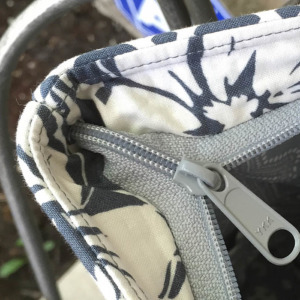 The zipper is an important security feature. Plus, it’s a great design. She looks lovely especially as she has a zip across the top! Will she be at Houston Festival because I will and I can get her then if possible! Congratulations on another winning bag! Love this pattern, the front pocket is very unusual but looks like it would be very useful. i like a front pocket for keys. However I am in the UK so how do I get hold of the pattern please? I love it! How can we order the pattern? Love, love, love!! I along with Dona would like to know where we can purchase the pattern?